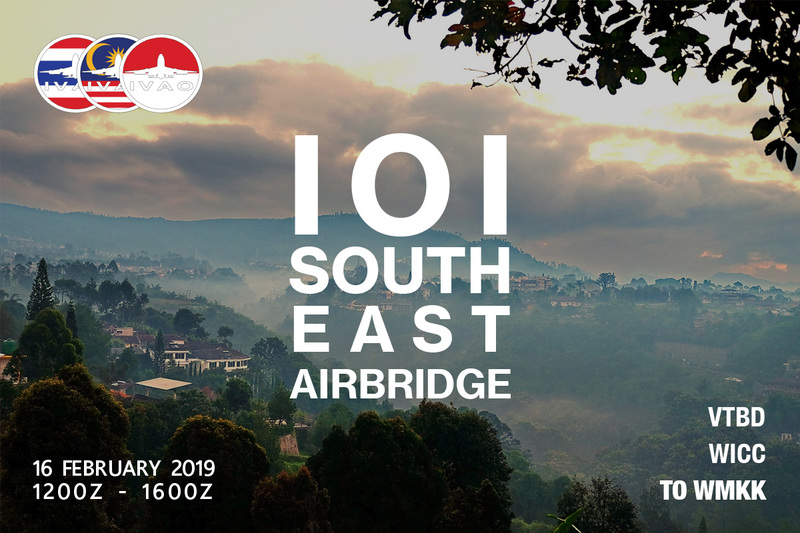 To celebrate and welcome our new neighbors "Malaysia Division" to IVAO network, we will hold a joint event to party together with all IVAO members, With our target airport at Bangkok/VTBD and Bandung/WICC to Kuala Lumpur/WMKK. Come and join us on this celebration. - ATCs who participate will gain +1 point on the ATC Events Award. - Pilots who participate will gain +1 point on the Pilot Events Award. Should you have any inquiries, please contact Thailand Event Coordinator (th-ec@ivao.aero), Thailand Event Assistant Coordinator (th-aec@ivao.aero), Indonesia Event Coordinator (id-ec@ivao.aero), Malaysia Director (my-dir@ivao.aero).